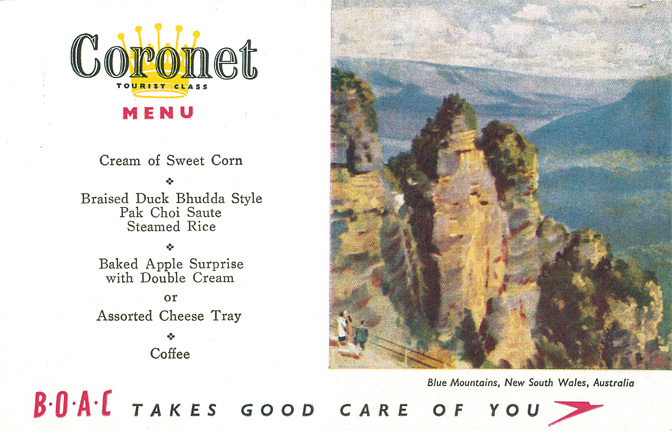 Braised duck was on the "tourist class" menu in the 1950s. Because under the 1938 Civil Aeronautics Act the government regulated airline rates and routes, airlines could not fill these seats by offering lower fares. Instead, they emphasized their safety record, their service, the meals, and other amenities.